at Brown University. This conference is organized by Students for Sensible Drug Policy, Education Department, Africana Studies, Brown Green Party, Brown Democrats, Democracy Matters, American Civil Liberties Union, Americans for Informed Democracy, and Feminist Majority Leadership Alliance. Next Saturday, Dec. 10, I'm going to be in New York City as the guest speaker at the Community Service Society of New York Roundtable Discussion on Prisoner Re-entry Issues. The discussion is from noon to 3pm in Conference Room 4A at 105 East 22nd Street. Peter Wagner, JD, Executive Director. Peter Wagner teaches, lectures, and writes about the negative impact of mass incarceration in the United States. His current focus is on working to demonstrate - through graphics, legal research, and state-by-state analyses - the distortion of the democratic process that results from the U.S. Census Bureau's practice of counting the nation's mostly urban prisoners as residents of the often remote communities in which they are incarcerated. The New York Times editorial board has twice supported his efforts to change the way prisoners are counted, and the Boston Globe identified him as the "leading public critic" of the prisoner miscount. He has presented his research at national and international conferences and meetings, including a Census Bureau Symposium, a meeting of the National Academy of Sciences, and a keynote address to a conference at Harvard University. Mr. Wagner's publications include Importing Constituents: Prisoners and Political Clout in New York (2002); The Prison Index: Taking the Pulse of the Crime Control Industry (2003); and, with Eric Lotke, Prisoners of the Census: Electoral and Financial Consequences of Counting Prisoners Where They Go, Not Where They Come From, [PDF] 24 Pace L. Rev. 587 (2004). Also see the Prisoners of the Census and Prison Policy Initiative websites. 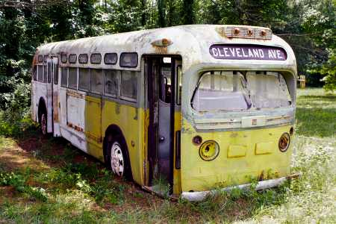 We came in road-weary VW Buses, with backpacks and sleeping bags, willing to sleep on any floor, withstand certain adversity, every abuse and encounter death, to add another face to the struggle for equality and dignity in America during the 1950’s and 60’s. 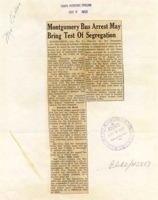 There had been protests against the American evil system of Jim Crow, in the courts and in the streets, but after Montgomery the protests swelled to a collective force. 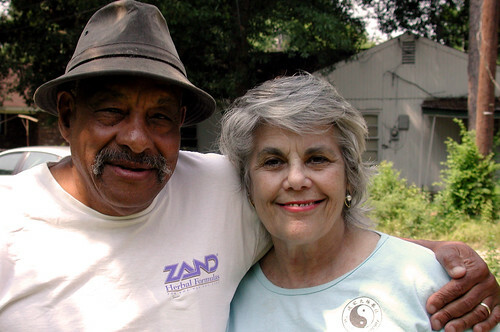 Now in October 2005, we arrived in Montgomery, Alabama “The Cradle of the Confederacy” on jets, sports sedans and air conditioned SUV’s with matching luggage and stayed at the Embassy Suites, showing evidence of years of wear and tear. I was moved beyond words to see my name and that of my mother among the 300+ names on the Wall of Tolerance. However, I was more impressed and honored to be with the thousands of allies, veterans of the movement, who were in the crowd and whose names did not appear. Black, white, red, yellow & brown, Uncles & Cousins, Mothers & Sisters, Christian & Jews, Gay & straight; some with walkers and in wheel chairs accompanied by children, grandchildren and great grandchildren, proud to share a moment, that for most, if not all of us, never dreamed would come. 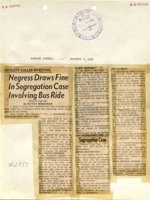 Yes, I had a pittance in the Civil Rights Movement, I was the first “colored girl” to graduate (1956) from an integrated school in Baltimore MD after the Brown vs. BOE (1954), walked many picket lines, participated in sit-in demonstrations, gone to jail for having the audacity to ask to be served a 10 cent hamburger at the White Castle, faced death at the hands of an angry white mob when I had the impudence to attempt to register people to vote and walked the ever moving line of Jim Crow. But today I was in the company of real heroes, people who had practiced non-violence here in the overtly violent south. It was here in Montgomery that a young Dr. Martin Luther King Jr. was selected to lead a congregation and began his march toward fame. Here, he preached nonviolence in the face of Jim Crow. Rosa Parks sat down and refused to get up here, and thousands of unnamed “workers in the vineyard” walked to work for more than a year because of her. The bus boycott started here. Heroes whose names are lost to history took a stand for freedom here. People from Hawaii joined the thousands more who walked in the rain and mud for five days from from Selma to Montgomery, seeking the right to vote. This magnificent day was the dedication of the Civil Rights Memorial in Montgomery, which includes the Wall of Tolerance. The wall incorporates the names of people who have dedicated themselves to fighting intolerance in their daily lives. Using digital technology to spectacular effect, the names flow down a curved 20 by 40 foot wall. The names on the wall include Civil Rights workers from all fifty states and Japan. Patiently, we stood in line to touch, to feel, to smell and take pictures of the bus in which Rosa Parks had refused to give up her seat to a white man, as if it were the Holy Grail and to gently touch the waters of the black granite memorial which flow over the names of 40 martyrs who lost their lives during the Civil Rights Movement, a period framed by the momentous Brown v. Board decision in 1954 and the assassination of Dr. Martin Luther King in 1968. The memorial sits only a few blocks west of the first capitol of the Confederacy, the spot where Jefferson Davis took the oath of office to become President of the Confederate States. 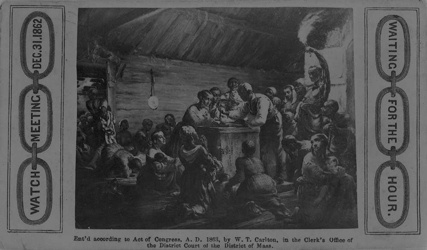 From Court Square, the order was sent in 1861 to "reduce" Fort Sumter, beginning the Civil War. 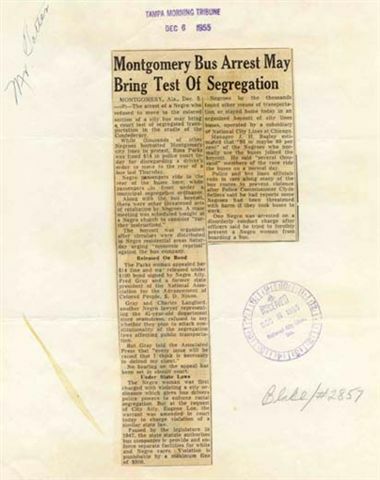 Ninety-four years later, on a December evening, Mrs. Rosa Parks began a historic bus ride from Court Square. East is the Dexter Avenue (King Memorial) Baptist Church, where a young pastor named Martin Luther King, Jr., led the movement Mrs. Parks began. "Fifty years ago, Rosa Parks refused to give up her seat just a few blocks away from where we are today," said Center co-founder Morris Dees in his welcoming remarks. "You've come from throughout the United States to be a part of the march that she started. "The placement of your name on the Wall of Tolerance shows the march for justice continues," he said. "This event is about honoring heroes," said U. S. Congressman Artur Davis (D-Ala,), who was the dedication's keynote speaker. "It has been the lot of our country that the bravest of us have laid down their lives, some anonymously, some in full view of the world," Davis said. "All share courage and are heroes. That's what we honor today." He urged everyone to consider "the enduring power of people who are willing to take a stand." 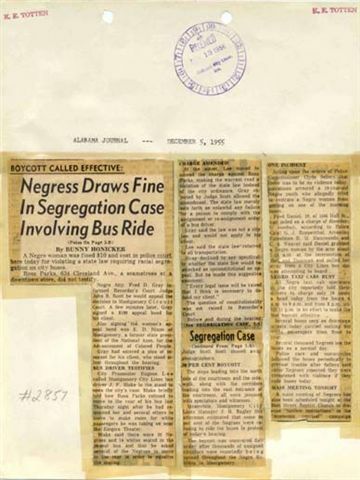 Davis continued, “Standing here, five minutes away from where George Wallace declared that men and women could not be equal, there is a new ground rising. There is a new Alabama in sight. There is a new country in sight. But only if we keep believing in each other, in the power of right." 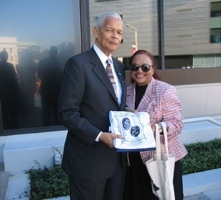 NAACP chairman Julian Bond, greeted with a standing ovation as he was introduced, served as host for the dedication ceremony. "Each of us is a ripple, and together we are all a mighty stream," said Bond in his closing remark. Monday, October 24, 2005 sitting in the airport as we said our goodbyes, the overhead TV monitors flashed an alert, “Civil Rights Giant Rosa Parks dies”. We hugged each other, as it seemed she, the woman whose name was on the invitation to the movement, had waited until the conclusion of the tribute to the other unsung heroes to take her final bow. She left us physically but her legacy will never fade away. 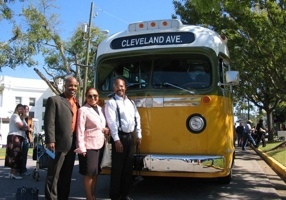 Marsha Joyner with her son Chris German (L.) and with Cedrick Ashe (R.), standing in front of the bus on which Rosa Parks made history. 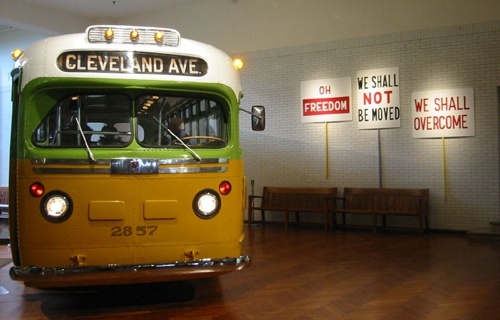 First photo is taken in front of a replica of the Cleveland Avenue bus, on which Rosa Parks made history. The original bus is on display at the Henry Ford Museum in Detroit, Michigan. For more information see "The Bus," by Donnie Williams.